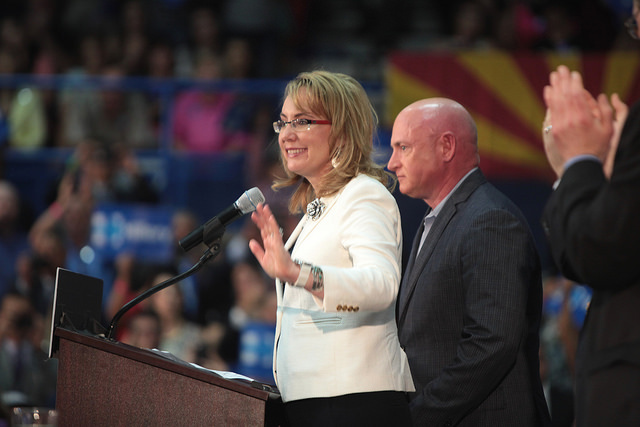 Retired astronaut 54-year-old Mark Kelly, the husband of former congresswoman Gabrielle Giffords who was shot in an assassination attempt, announced on Feb 12, 2019, he would be running for the Arizona Senate to finish John McCain’s last term. Kelly, a Democrat, if chosen to be the nominee, will face Republican Martha McSally in the 2020 election. McSally lost last year to Democrat Krysten Sinema, was later appointed to fill McCain’s seat. McSally campaigned on her record of being the first woman to fly as a fighter pilot in a combat mission. However, the support of Donald Trump hurt her chances of winning the election. Gov. Doug Ducey appointed McSally to fill McCain’s Senate seat after former Sen. Jon Kyl who was given the job, resigned after holding the position for a few months. The 2020 election will decide who completes the last two years remaining on McCain’s term. The winner of this election will have to run again in 2022 for another six-years. U.S. Rep. Ruben Gallego is also considering running. If he does, he will be a strong contender for the Democratic nomination.